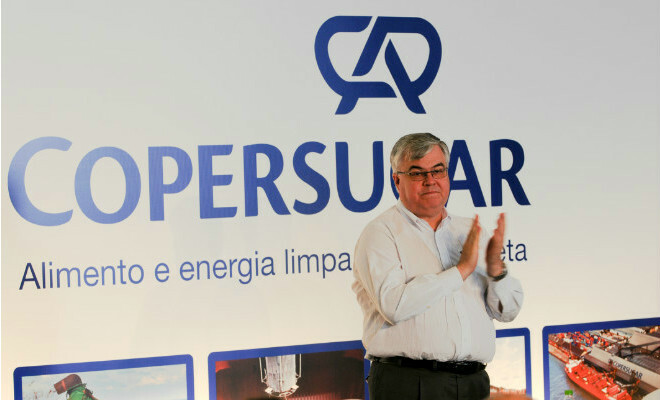 The President of the Board of Directors of Copersucar, Luiz Roberto Pogetti, announced that the company expects the crushing of 143 million tons of sugar cane in 2012/13, which would represent 24% of total production in the region, reported the Agestado. The executive also said the company plans to sell 8.1 million tonnes of sugar and 4.8 billion liters of ethanol. Moreover, Coopersucar announced investments of $ 700 million in ethanol and $ 300 million in the sugar segment.